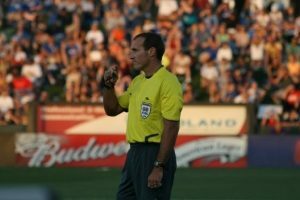 To many soccer referees in the United States and Canada, the Professional Soccer Referees Association (PSRA) represents the group of elite match officials who work in Major League Soccer (MLS). But that is just one part of PSRA. Since 2009, the organization has been a pivotal force in raising the respect for soccer officials in North America, while mentoring the next generation of referees and improving the conditions in which they work. The game of soccer is always evolving and improving, and the same is true with the profession of soccer officiating. The PSRA has made historic strides in recent years, but a lot of work remains. Achieving those goals will take the work of officials at all levels of the game in the US and Canada. We thought it appropriate to publish a brief history of PSRA, how it came into being and its efforts so far. Our objective is to demystify the organization to some extent and, as you will read below, explain how the PSRA is fighting, has fought, and will continue to fight for respect and high standards for soccer referees at all levels of the game. In the end, you will better understand our motto – “Through Unity, Strength.” If you are an aspiring referee, after reading this article you might consider joining the PSRA. PSRA President George Vergara (far L) and Vice-President Ricardo Salazar field questions at the 2017 PSRA Annual Meeting. Collective action by soccer referees in the United States dates to the days of the original NASL in the 1970s. At that time, the NASL imported referees from other countries to work games. In protest, a small group of top US referees came together and threatened not to work in the league. Unfortunately, other referees refused to stand together, the group broke apart, and no changes were made. In 1996, when Major League Soccer was founded, match officials were assigned by the United States Soccer Federation (USSF). 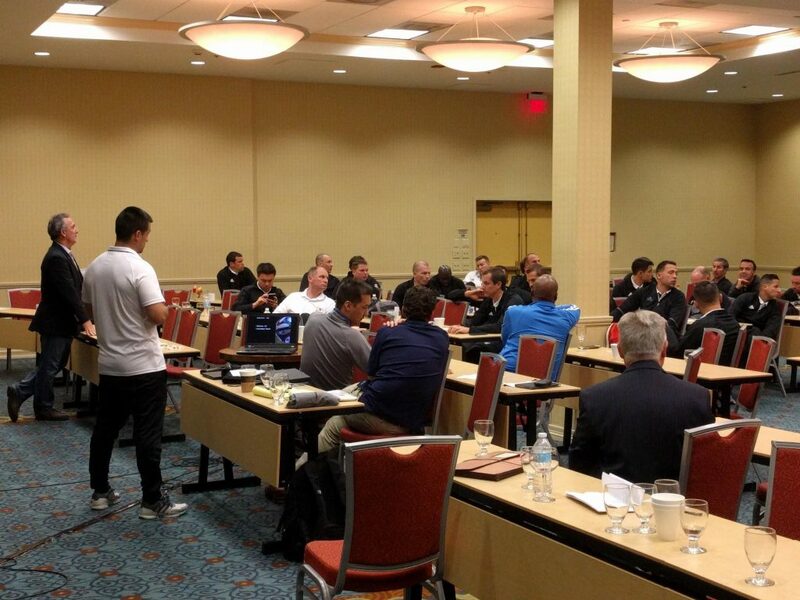 Referees were selected from the list of USSF National Referees. Some State Referees were used as Assistant Referees and Fourth Officials. None of these officials were full or part-time professionals. Due to the very low match fees, all had primary jobs outside of soccer. In 1996, referees were paid $250 per game, and Assistant Referees received $190. The system stayed the same for nearly a decade, with the first major change coming at the end of 2005. Eight of the top club teams from Mexico agreed to take part in the Interliga tournament in January 2006. The games would take place in the US, and USSF referees would officiate the matches. However, the selected officials were offered extremely low fees to work these highly attended and very lucrative games. In response, the top US referees took a dramatic step to force a change in the game fees. Prior to the start of the tournament, the referees turned back all their assignments for the first and second round of games. On behalf of the top officials at the time, FIFA Referee and 2002 World Cup Referee Brian Hall led discussions directly with the USSF to secure higher game fees. After an agreement was reached, the group of officials worked the entire Interliga tournament. In 2006, experienced MLS officials including Brian Hall, Richard Heron, and Craig Lowry began discussions with US Soccer and MLS about working conditions. They also sought outside legal counsel and advice from other referee organizations, including the Professional Game Match Officials Limited (PGMOL) in England to assess options for achieving greater representation. Since the birth of MLS, the USSF and MLS dictated game fees and per diem rates for match officials. Approaches by the MLS referee group to raise fees, rates, and other benefits were repeatedly rebuffed. USSF and MLS simply dictated terms, as they had the power to do so and the officials had no organized means by which to object. Officials had no success in establishing a legally binding contract with USSF and/or MLS to improve working conditions. In 2007, USSF made an unprecedented move by formally hiring four FIFA referees – Ricardo Salazar, Terry Vaughn, Baldomero Toledo and Jair Marrufo – as full-time USSF employees. These referees became the first full-time professional soccer officials in the United States. They received an annual salary in exchange for working MLS and other USSF-assigned games, as well as attending formal training events. All other professional officials in the US remained independent contractors with no collective bargaining rights. In 2009, MLS soccer officials formed the PSRA to unite all MLS Referees, Assistant Referees and Fourth Officials under one common banner. After organizing, in early 2010 the PSRA approached MLS and USSF to negotiate a new agreement for game fees, per diems and several other non-economic items. The PSRA stood together as a group and achieved moderate increases in pay and working conditions as part of a five-year agreement, or memorandum of understanding. It is interesting to note that during these discussions, it was the PSRA which suggested to MLS the concept of having a third-party organization to manage the referees – something similar to the PGMOL in the UK. This arrangement would have given MLS greater control over the league’s pool of match officials. 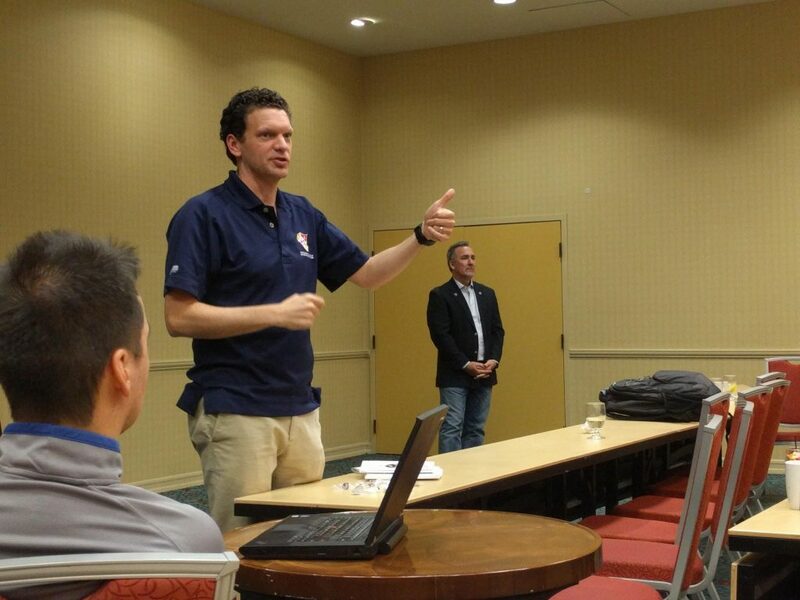 In early 2012, MLS, USSF, and the Canada Soccer Association (CSA) collaborated to form the Professional Referee Organization. 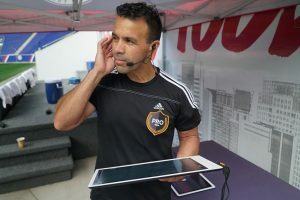 PRO was tasked with hiring and managing professional soccer referees in the USA and Canada. 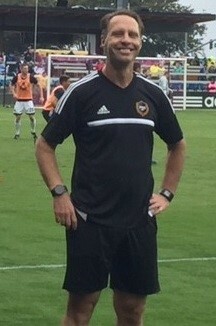 Peter Walton, a former FIFA Assistant Referee and English Premier League Referee, was hired as PRO’s first General Manager. Directly after the formation of PRO and Mr. Walton’s appointment, the PSRA approached PRO about collaboratively negotiating an agreement on behalf of all PSRA members. In Fall 2012, after inviting PSRA leadership to attend a meeting, George Vergara and our legal team met with PRO in New York. In this short meeting, PRO announced its refusal to discuss a new agreement stating PRO would negotiate with all referees individually. In November 2012, 20 referees were offered formal, employment via individual contracts with PRO, effective January 1, 2013. Again, PRO refused to negotiate collaboratively with the PSRA. With no other options, the PSRA sought legal representation with a firm experienced in representing sports officials including the National Basketball Referees Association (NBRA). As the PSRA took the first steps toward forming a union, PRO took steps to stop it. For instance, in February 2013, PRO held several conference calls with PSRA members advising them not to unionize. Despite the anti-union lobbying by PRO, MLS and USSF, the PSRA remained united and in April 2013 moved to be recognized as a labor union under United States federal law. In the following weeks, 20 PRO-employed referees and 60 “independent contractor” assistant referees/fourth officials signed union cards seeking union representation by the PSRA. The National Labor Relations Board (NLRB) issued a ruling authorizing the PSRA to hold a unionization vote. The NLRB administered the vote on September 20, 2013. With an overwhelming vote of 55-7, members voted to certify PSRA as a labor union. Because of this vote, the PSRA continues to exist as the association representing professional soccer officials in the US and Canada. PRO was now legally required to negotiate with the newly formed union. Thus began the lengthy, expensive and challenging task of reaching a Collective Bargaining Agreement. PSRA formed a dedicated Negotiating Committee; this selfless, dedicated group of volunteers logged thousands of hours working diligently with PSRA attorneys and other consultants to author from scratch and negotiate a CBA. The Negotiating Committee was also responsible for updating PSRA members regularly, and in great detail, about the pace of negotiations. Committee members were not compensated for any of their efforts. This was a true sacrifice of time and effort which can never be repaid. The initial CBA negotiations did not take place in a collaborative manner. From the beginning, extensive delay tactics by PRO slowed the process. Meetings were postponed and/or canceled. Incorrect documents were submitted. PRO routinely submitted proposals that were worse than its previous offers. The PSRA went to the NLRB on four occasions to file charges against PRO for failing to negotiate in good faith. 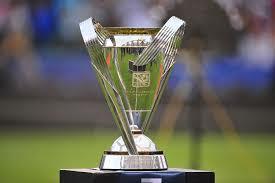 After eight months of negotiations and no agreement, the 2014 MLS regular season was days from kickoff. PRO wanted PSRA to agree not to strike, but PSRA would not commit to such an agreement without a CBA. Therefore, one day prior to the start of the season, PRO decided to “lock out” the PSRA members and prevent them from working. This also meant that the 20 Referees who had been hired by PRO in late 2013 would not be paid. Many of those referees had given up their primary jobs, and their commitment to the union resulted in significant financial hardships. 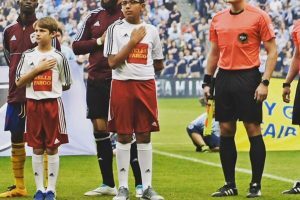 In planning for “lockout,” PRO spent tens of thousands of dollars recruiting officials not in the union to officiate MLS games. In all, 35 non-professional replacement officials and some foreign officials were used by PRO during the “lockout.” These individuals worked against the PSRA and its attempt for fair and equitable working conditions for current and future referees. Poor performances by the replacement officials forced PRO to reach a Collective Bargaining Agreement with PSRA after just two weeks. The CBA was ratified by PSRA members and officially signed by PSRA President George Vergara on March 20, 2014. The CBA between PSRA and PRO was a landmark agreement solidifying the role of Professional Soccer Referees in the US and Canada. The agreement guarantees standards officials worked to achieve for nearly four decades into a legally-binding contract. In November 2014, PRO terminated the employment of Referee Geoff Gamble. 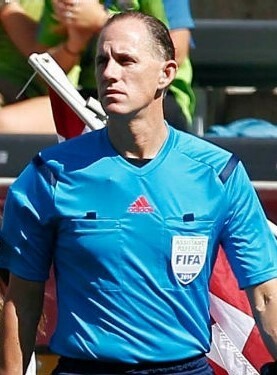 The PSRA filed a grievance against PRO challenging whether the release of Referee Gamble complied with the terms of the CBA.. After an arduous process lasting nearly a year, during which Mr. Gamble was not allowed to officiate PRO-assigned matches, an arbitrator ruled in favor of the PSRA and determined Geoff had been released in violation of the CBA. The arbitrator instructed PRO to reinstate Geoff as a referee for the 2016 season. According to PSRA’s legal representatives, this was the first time a professional sports official in the U.S. had been reinstated to employment through the grievance/arbitration process. It was a landmark case. In 2016, the PSRA filed a grievance claiming a referee subject to the collective bargaining agreement received additional compensation from PRO outside the terms of the CBA. After a months-long hearing process, an arbitrator determined PRO had wrongly and knowingly overcompensated the referee and instructed PRO and PSRA to come to an agreement; otherwise he would decide the remedy. The PSRA and PRO agreed to a large penalty payment whereby Bargaining Unit officials received this payout. The initial CBA expires on January 15, 2019. The PSRA will again represent its members in negotiating the next CBA with PRO. The PSRA believes working collaboratively with PRO will yield a better agreement for all parties involved and improved performance by officials on the field – the ultimate objective. The PSRA understands strong steps may be needed to protect current members and those who follow. The PSRA is also cognizant that standards set at the top filter down to lower levels – even the youth. As the PSRA looks to the future, it is clear the organization has accomplished an immense amount in a brief period of time. That said, there is more work to do. Today, the PSRA is an established labor union recognized by the National Labor Relations Board. Our focus is continuous improvement of the terms and conditions of employment for Professional Soccer Referees in the United States and Canada. It is important to note that this includes not only MLS, but all other professional divisions as well as international matches. As we expand, the PSRA is also proud of the mentoring programs and service to the game in which many of our members are involved. PSRA is conscious of its leadership position and will work to promote the growth of Soccer Refereeing across the United States and Canada at all levels. Benefits of PSRA Membership – The Time to Join is Now!? Today, PSRA offers membership options for referees at all levels. Whether you are working in the professional leagues, or a weekend warrior at the local park and want to stay involved with what is happening at the top level, membership is open to you. Although the Association is focused primarily on the professional level, its work does filter down and will have a major impact on referees coming up through the ranks. PSRA’s goal is to ensure professional soccer officiating can be a viable career choice for those who pursue this passion. Through your membership, you will reap the benefits of those who came before you as well as pave the way for those who succeed you. We look forward to continuing the journey with you. If you aspire to become a professional referee, we highly suggest you join the ranks of PSRA today! The registration process is simple and available on the homepage of our website: http://www.refereeassociation.net/. For questions regarding the content of this post, or other questions regarding the PSRA please email ‘info@refereeassociation.net’.